Figure Japan is a figure collector's magazine with each issue focusing on a specific series and including a figure from that series. Each issue will have a figure catalog and a listing of new and upcoming products from the series it is based on, focusing on the figure included with that issue. It's filled with lovely photos and all sorts of figure-related information, creating the perfect fan book for figure fans! The second issue will be focusing on the popular electronic diva - Character Vocal Series 01: Hatsune Miku! 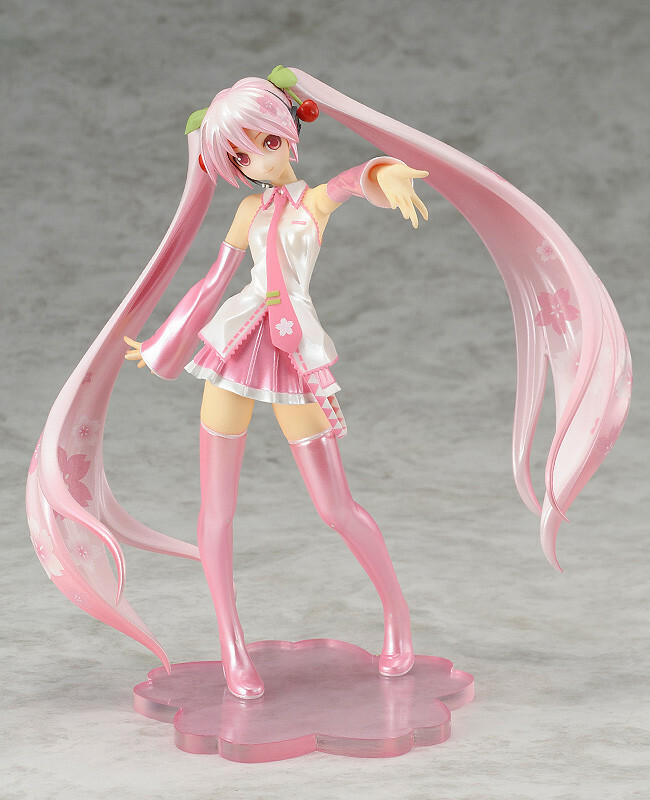 The included figure is a 1/10th scale 'Sakura Miku feat KEI' - a classic figure based on an illustration by KEI, colored a beautiful cherry blossom pink! The cover of the magazine will also feature an illustration by KEI!